KAOHSIUNG UNDERWENT MAJOR DEVELOPMENTS since its last few city mayors and especially during Chen Shui Bian’s presidency. One of the most remarkable progress is an efficient MRT system, further improving its transportation and environment (scooters give out smoke). 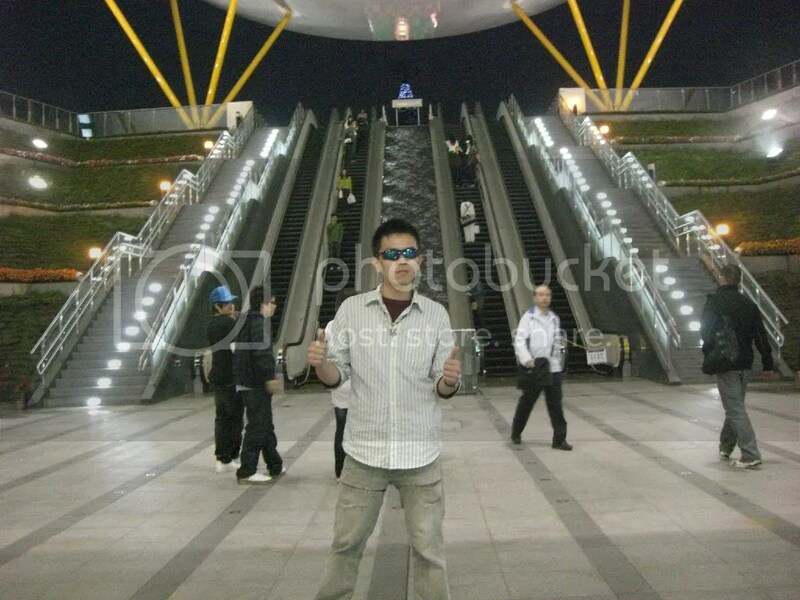 The KMRT stations were built to impress. Various architects were employed to make all the stations unique in its own way. The result? Gigantic works of art at different parts of the city. Inside, the tokens, the coaches and the counters are all similar to its Taipei counterpart. 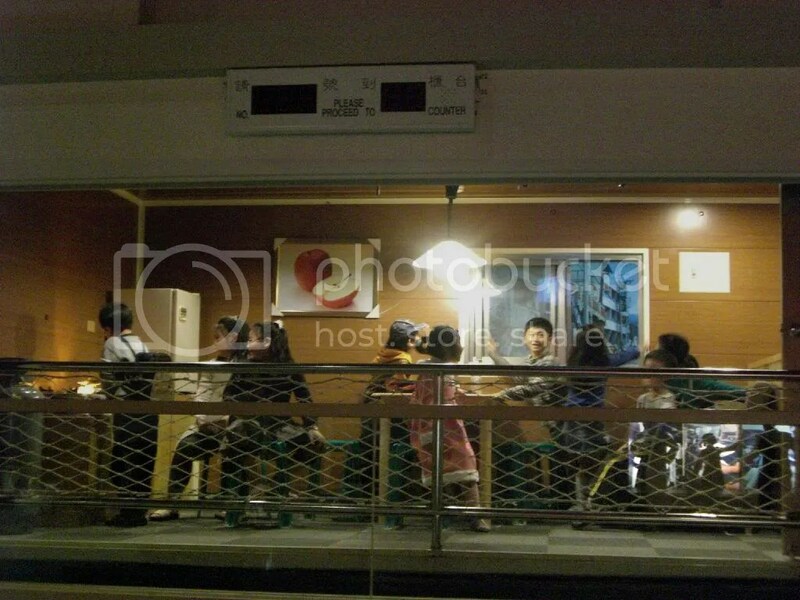 One thing that sets them apart is that KMRT plays two different tunes when the train arrives and leaves. The Sanduo District station has a spectacular staircase with flowing waterfalls. 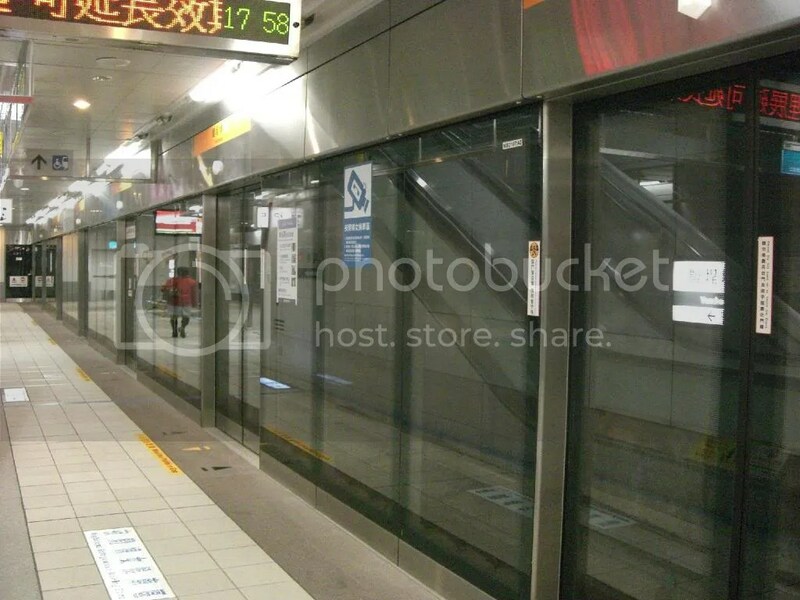 From the inside, KMRT looks like the Taipei MRT. 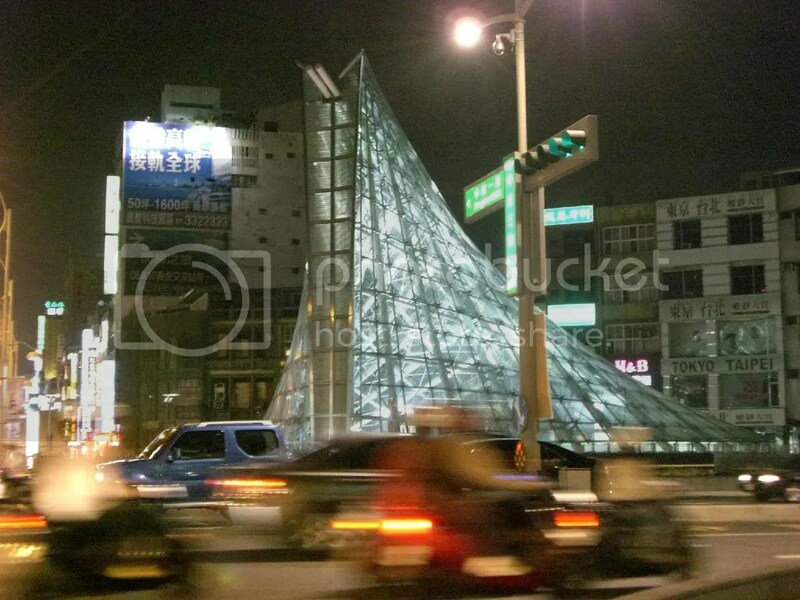 Formosa Boulevard’s station consists of pyramidal shaped glass buildings situated at the four corners of a busy intersection. 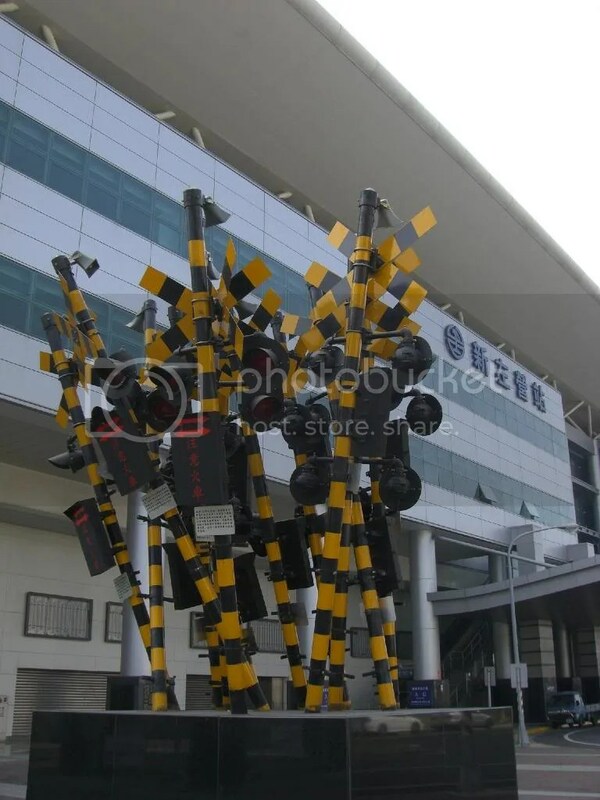 New Zuoying station has an art piece composed of railroad warning posts. I FOLLOWED THE ADVICE OF A LOCAL and went to Zuoying to see the Lotus Lake. The historical town of Zuoying is at the northern outskirts of Kaohsiung city, and is a nice relief from the hectic traffic of the city. Lotus Lake is noted for its close proximity of temples, all gathered by the lake. At its northern edge is the Confucius temple, which I think is larger than the one I visited in Tainan, but less crowded. 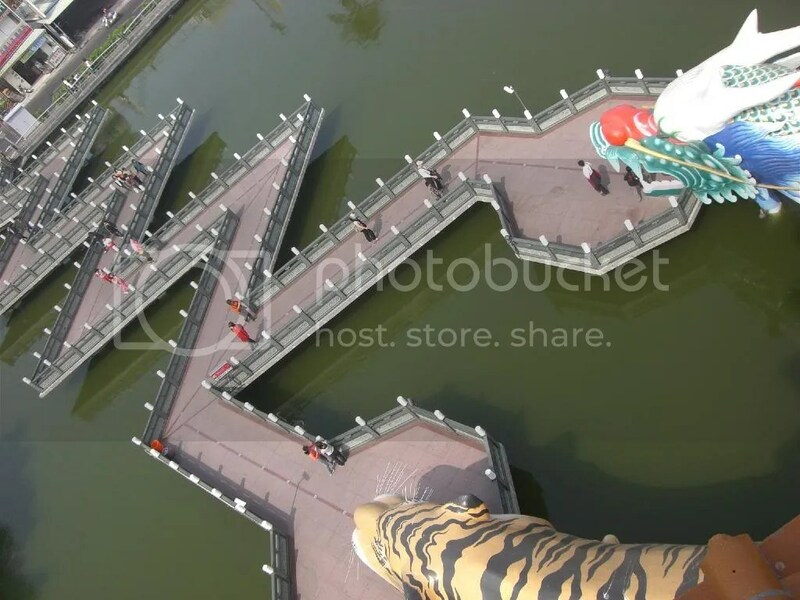 The Dragon and Tiger pagodas are at the southern end, while the North-pole Hsuen-tien Shang-Ti God’s statue is erected at the center of the lake. Zig zag roads lead visitors to the Dragon and Tiger pagodas. It is believed that to have good luck, one must enter the mouth of the dragon and exit through the tiger’s. 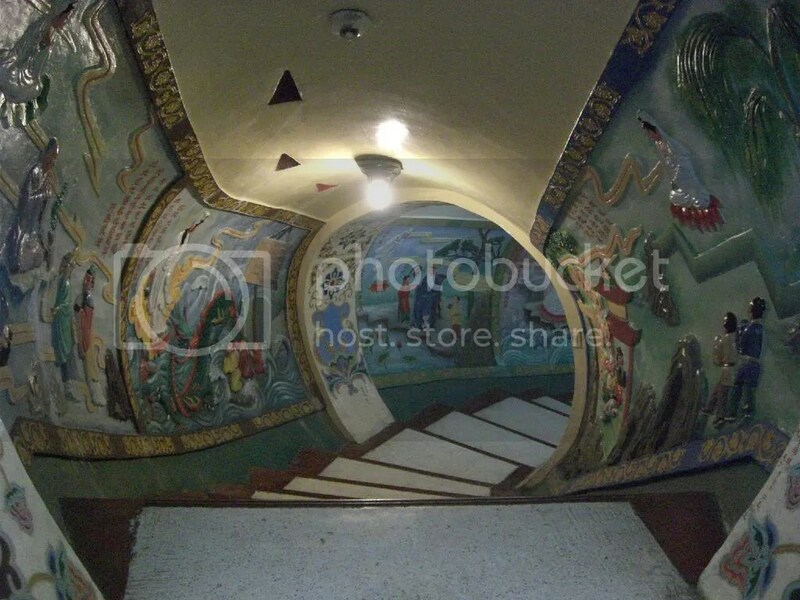 Inside, murals depict the stories of the 24 obedient sons (which I am not familiar of). 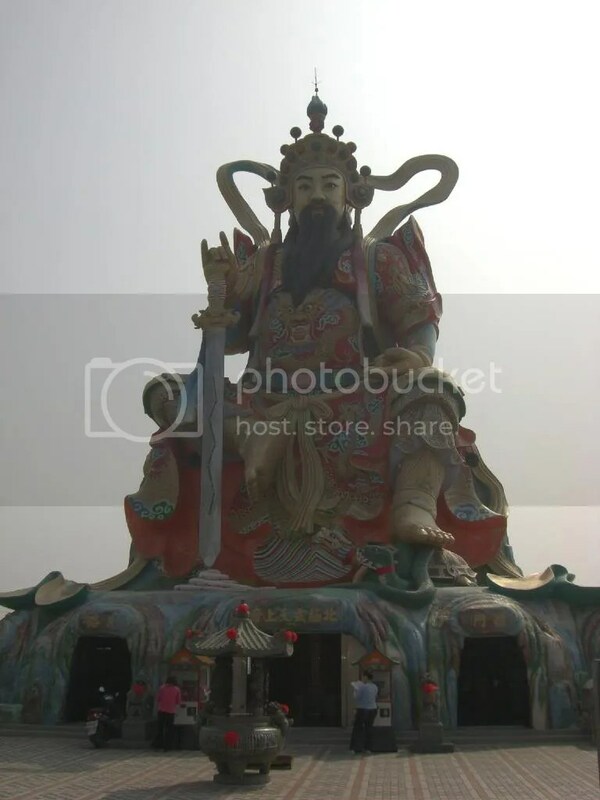 The North-pole god’s statue on the other hand, is said to be 24 meters in height, the tallest god statue over water in the South-East Asia. Legend has it that this god was sent as a messenger to bless the locals, and thus the statue was built in 1995 to honor him. 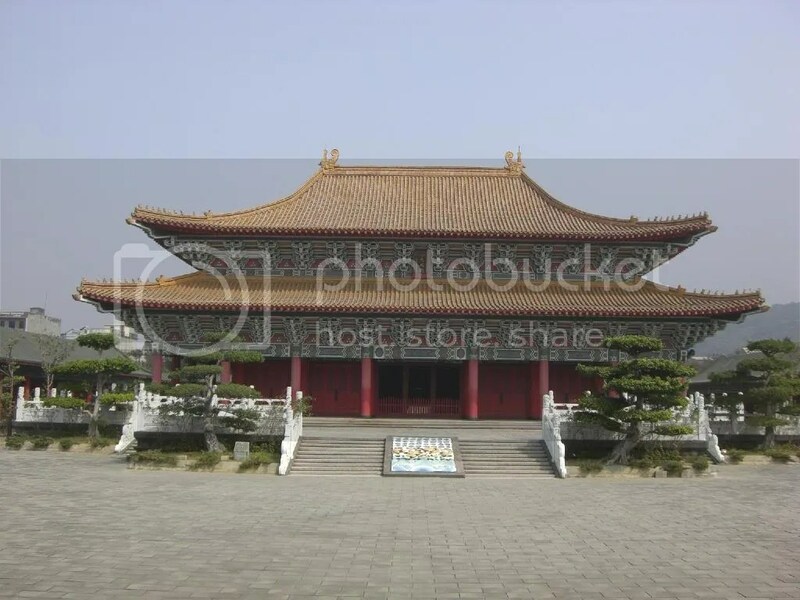 One of the main buildings of the Kaohsiung Confucius Temple. Statue of the North-pole Hsuen-tien Sharn-Ti God sits above the center of the Lotus Lake. Roads move in a zig zag (something to do with a Taoist belief) to the Dragon and Tiger pagodas. Walls of the tunnels are decorated with paintings inspired by the stories of the 24 obedient sons. 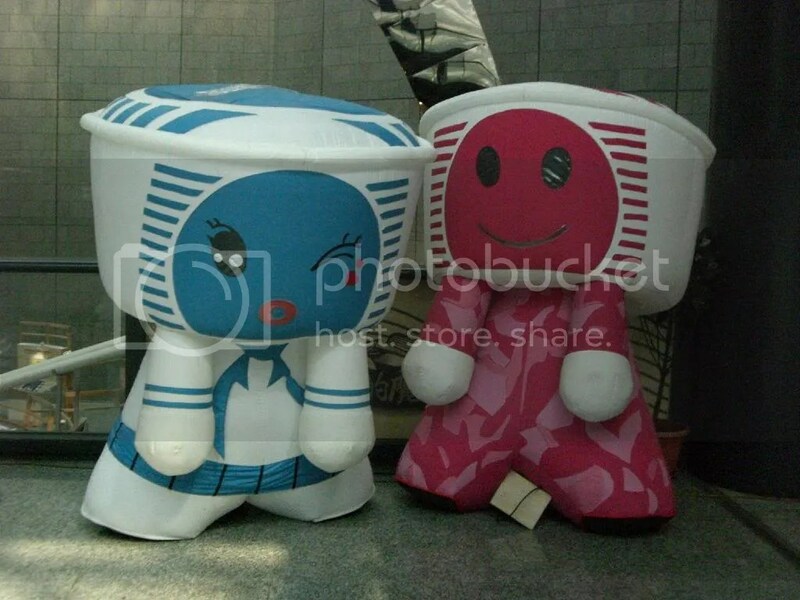 THE LAST ATTRACTION THAT I WENT TO before leaving Kaohsiung is the Science and Technology Museum. Boasting a land fill of 19 hectares, this is supposed to be the largest applied science museum in the country. The tickets are fairly inexpensive, NT$100 for adults, and foreigners showing their passports can get a NT$50 discount (good bargain for money). For those who are Chinese-challenged, fear not because most of the exhibits are bilingual. 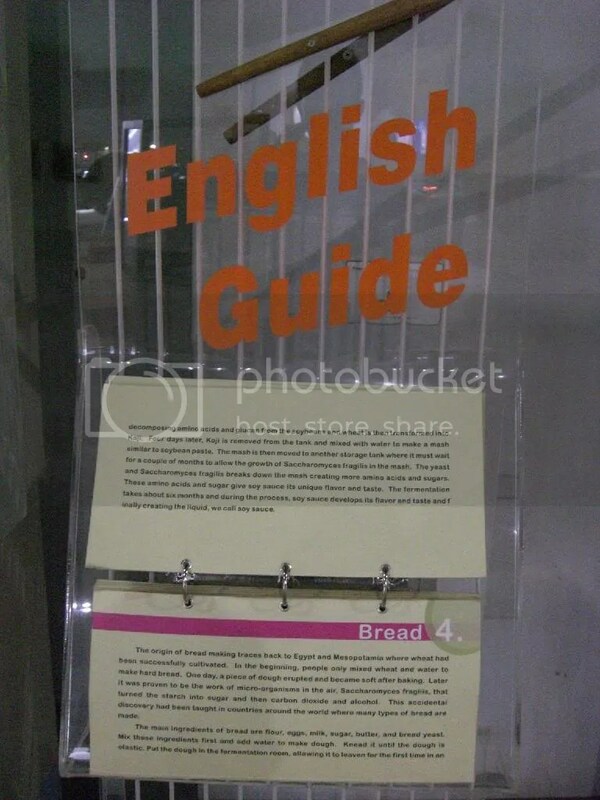 And for those exhibits with no English texts, a friendly flip booklet can be found with English translations. One thing that I noticed is how much commercialized the museum is. Most of the exhibits (although very educative) are sponsored by some big companies, e.g. 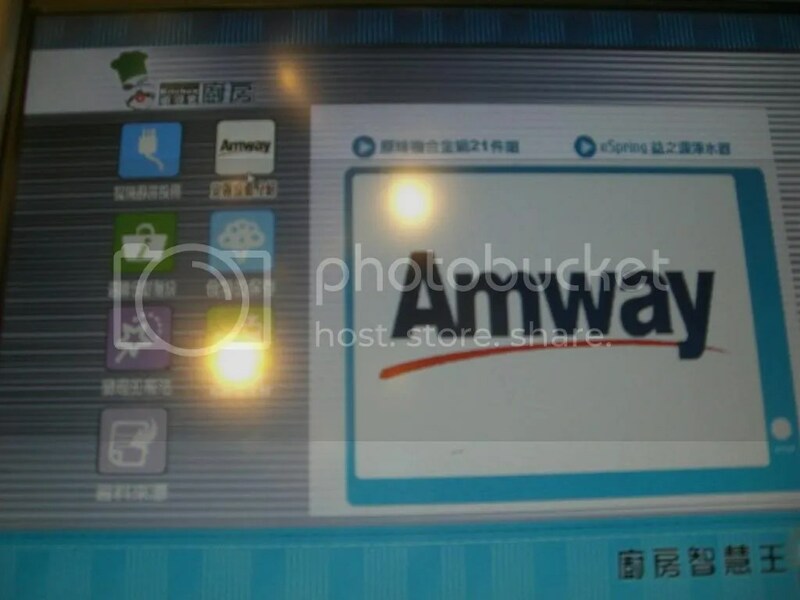 Chung Hua Telecom, Amway, SYM motors and Uni-President. I wonder if the museum is facing financial problems due to its low-priced admissions. 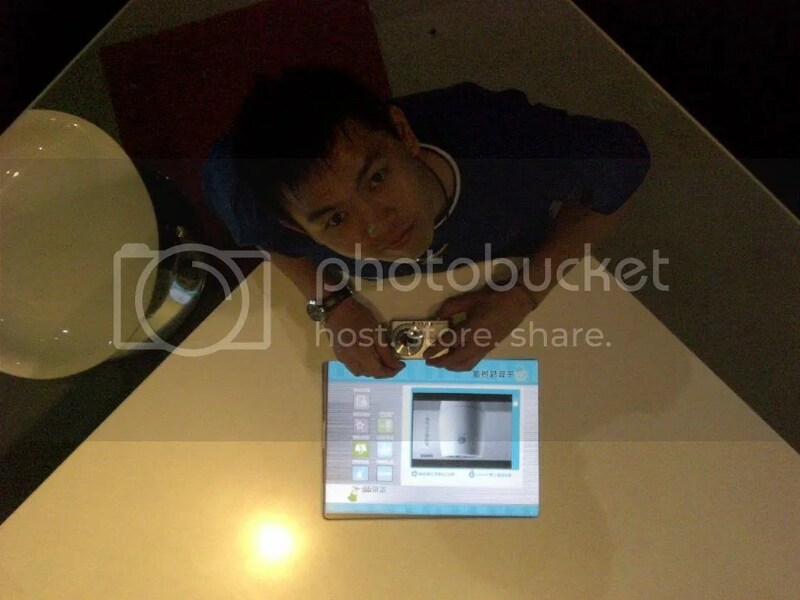 All in all, knowing that I only paid NT$50, the museum is much more than what I had expected. A very realistic room simulating an earthquake, this is supposed to educate the kids about cautionary measures during a disaster. Flip-open English translations of the exhibits can be found everywhere. 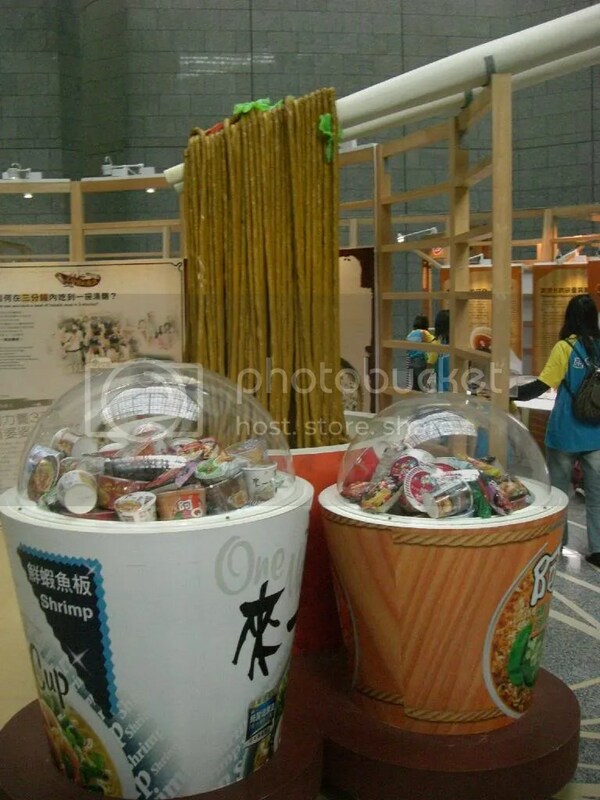 The Uni-President company sponsored a very creative and fun exhibit about Instant Noodles. 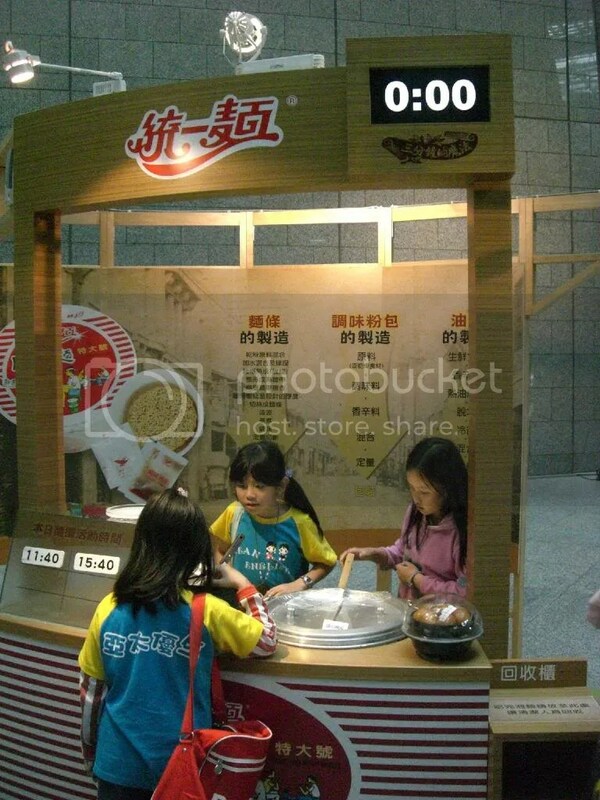 Kids get their hands dirty trying to serve instant noodles. I did not know much about instant noodles before seeing all this. Amway sponsored an exhibit promoting high-tech appliances that fits the modern household while being gentle to the environment. eSpring demonstration video… I bet my mum would LOVE to see this. 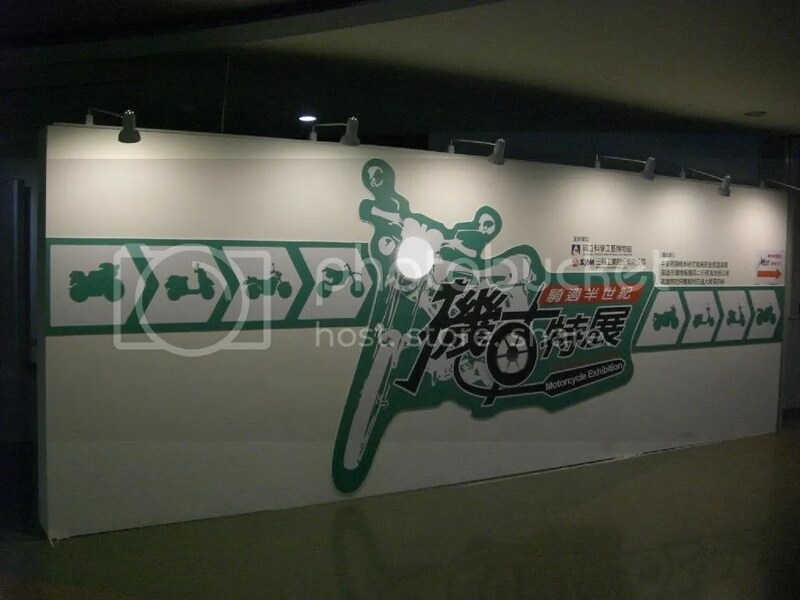 The history and future of motorbikes… This is a cool exhibit that would definitely make all boys and men go gaga. IF I HAD MORE TIME I would certainly extend my trip for a couple of days. There are still some sights that I would like to visit, but hadn’t the chance… yet. Having travelled most of Taiwan, I think that Tainan and Kaohsiung is a better city for foreign visitors to fully bask in Taiwan’s rich culture and history. I myself confess that I did not have enough. So, Tainan-ers and Kaohsiung-ians beware, Frankie will be back AGAIN!